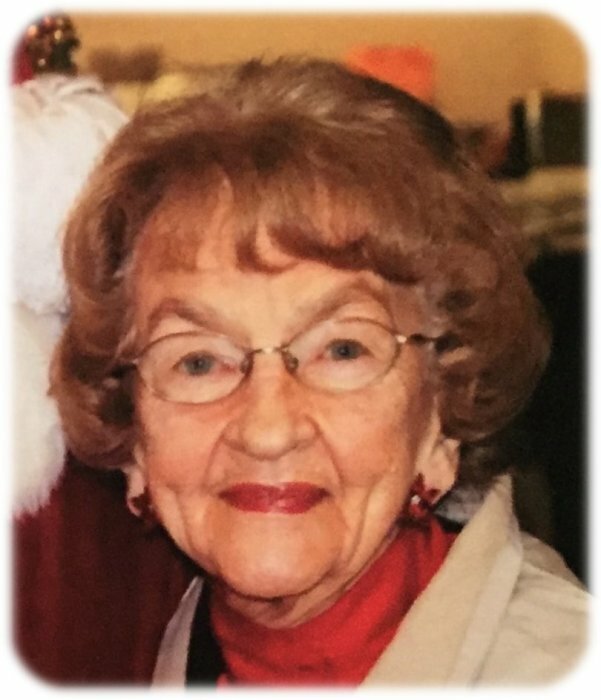 Funeral services for Ione Biesterfeld, age 91, of Albert Lea, will be held at 11:00 a.m. on Monday, February 11, 2019 at Bayview/Freeborn Funeral Home. Pastor Don Malinsky will officiate. Interment will be at Rose Hill Cemetery in Wells. Visitation will be one hour prior to the service at the funeral home. Online condolences are welcome at www.bayviewfuneral.com. Ione died Wednesday, February 6, 2018 at Mayo Clinic Hospital – St. Mary’s Campus. Ione Biesterfeld was born February 21, 1927 on a farm near Hartland, MN, the daughter of Gustav and Gertrude Wegner. In 1945 she graduated as valedictorian from Freeborn High School where she had enjoyed band, drama, cheerleading, yearbook, history, and business classes. On December 4, 1945 Ione married Lester Biesterfeld. They farmed and raised their four children near Wells, MN. Family life on the farm was a good life for Lester and Ione. Throughout the years they faithfully led their children to see that worshiping God was vital to a meaningful life. Belief in Jesus Christ as Lord and Savior was central in the Biesterfeld family. We praise God that Ione was a faithful Christian woman and a powerful prayer warrior. Ione worked as a secretary at Wells Concrete Products Company for 29 years. Ione was a voracious reader and spent countless hours studying the Word of God. After retiring from farming in 1989 she and Lester moved to Albert Lea, MN. Lester and Ione enjoyed traveling to Christian events around the country and serving in missionary work globally. God blessed Lester and Ione with travels to Europe, Belize, and Hawaii and wintering in Lake Havasu City, AZ. Ione is survived by four children: Rebecca (Paul) Strand, Merrill, WI; Kristine (Dean) Skalicky, Silver Bay, MN; Leslie (Patty) Biesterfeld, Mankato, MN; and Kurt Biesterfeld, Albert Lea, MN. She is also survived by grandchildren: Kimberly (Jeremy) Akey, Connor and Natalie, Wisconsin Rapids, WI; Kari Strand, St. Paul, MN; Karen (John) Sidorowicz, Hunter and Madden, Superior, WI; Brittney (Josh) Wisted, Matthew, Naomi, Abigail, and Micah, Poplar, WI; Audra (Matt) Carson, Jake and Lauren, Savage, MN; Ana Biesterfeld, Judson, Savage, MN; Troy (Laura) Biesterfeld, Lucy, Rochester, MN; and Trisha (Robert) Iverson, Clarks Grove, MN. Ione was preceded in death by her parents; her husband, Lester; and her four brothers: Lowell (Dutch), William (Wick), Garmen (Gus), and Robert.